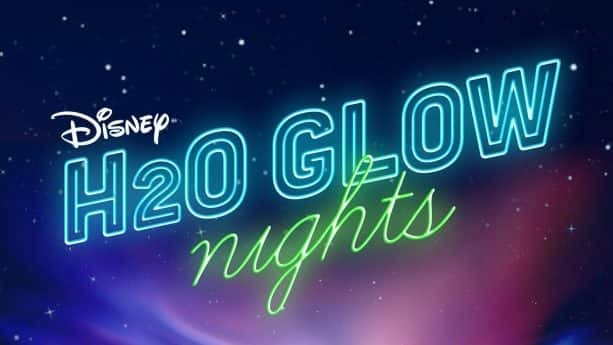 We recently shared the news about the coolest nighttime water park event coming to town – Disney H2O Glow Nights at Disney’s Typhoon Lagoon Water Park. Today, I’m excited to share with you a picture inspired by this new nighttime party that will allow guests to experience the water park in a whole new light. With glowing beach balls, inner tubes and other lighting effects, Disney H2O Glow Nights is a rare opportunity for guests to experience Typhoon Lagoon under the moonlight. On select nights beginning June 21, Typhoon Lagoon becomes a luminous, nighttime hotspot featuring a DJ Dance Party on the beach, plus special character meetings with Buzz, Woody and Jessie from Pixar’s “Toy Story,” as they visit Typhoon Lagoon for the first time. And let’s not forget about our host, Partysaurus Rex, who is inviting guests to this one-of-a-kind experience. I don’t know about you guys, but I cannot wait! My Viking hat with glowing horns arrived today! I can’t wait to attend on my 50th birthday in July. Does anybody know if they are going to do the Frozen Summer Games at Blizzard Beach again this summer?